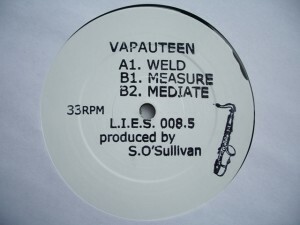 Don’t be misled by jazzy saxophone on the label, the record is inspired by industrial noise and welds anything that can be welded. 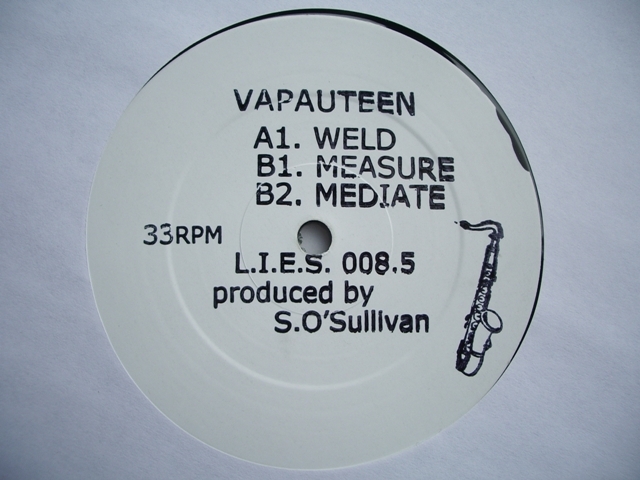 Now when Adam X resides in Berlin, Vapauteen takes the responsibility to radiate the hardest sound outta Brooklyn. “Weld” is a mean and ugly stuff for strobe orgies, with machines screaming like orks in pain. “Measure” adds some bubbling lines to throbbing bass, like Green Velvet used to have in earlier days, and “Mediate” digs deeper with a hypnotizing acidified and heavy loop. If you like Ancient Methods or Traversable Wormhole, this is the one. Although ‘vapauteen’ means “to the freedom” in Finnish, it’s not an artist from North Europe but Shawn O’Sullivan from North America.